ReproTech is the safest place to store your sperm, and with the Overnite Male Kit™ you can collect your specimen from the privacy of your own home. 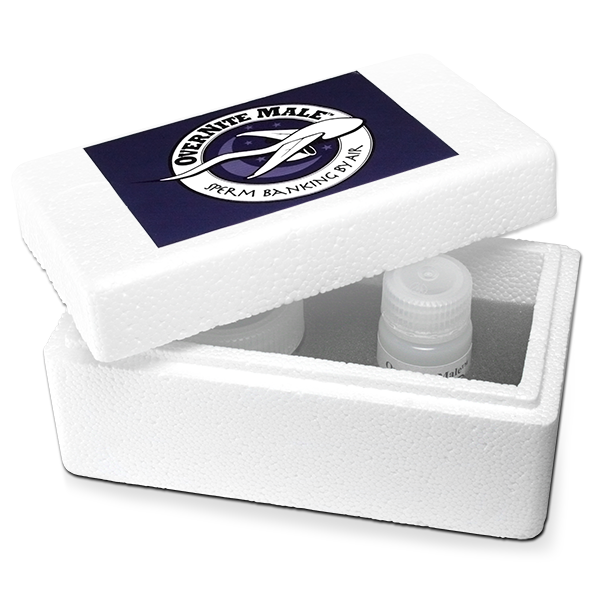 The Kit comes with everything you need to store your sperm safely and securely, including all required laboratory testing, shipping, and storage for one year. The Overnite Male Kit is the most convenient and economical choice for safely collecting and storing your sperm. Easy to use. No hidden fees. Ultimate Privacy. There are many reasons why you might need to preserve your sperm, but there is only one great solution. ReproTech Ltd. is the leader in reproductive tissue banking, and our OverNite Male Kit™ is the fastest, most cost effective way to store your specimen and gain peace of mind. The OverNite Male Kit allows you to collect your specimen from the privacy and comfort of home - no time consuming doctor’s visits or travel necessary. It is easy to use and virtually foolproof. Simply give us a call or order online and a kit will be delivered to your doorstep within 24 hours. 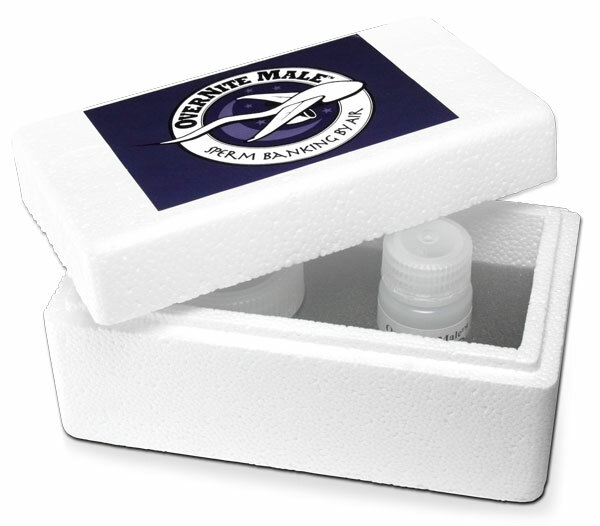 Once your specimen is contained in the storage media, FedEx your OverNite Male Kit using the labels provided and we’ll take care of the rest. Your specimen will be processed at a leading Andrology Lab and stored at ReproTech, one of the top long term storage cryobanks in the world. Life is unpredictable, but your chance at fatherhood doesn’t have to be. ReproTech and the OverNite Male Kit ensure that when the time is right, you’ll be prepared to start a family - hassle free. For men seeking to preserve fatherhood, the OverNite Male Kit is by far the most convenient, private and cost-effective method available. Storage provided by ReproTech, the world-wide leader in safe storage. Questions? Call us now to get the answers you need! 888-586-3389.